Machines are intelligently redefining our industries along with personal lives. Whether we need to visit some unknown location, seek around for jobs, and wanted to make some purchase. Artificial intelligence (AI) is providing strong solutions. It has simplified the things and ensure the availability of right information at the right time. In human resource and different another department there are monotonous jobs performed by us. Therefore, AI has created ripples in the field of HR to perform different functions. So, we can say that AI is not a substitute for human interference in HR. These machines are developed and to help HR professionals in taking a decision by predicting their next move. 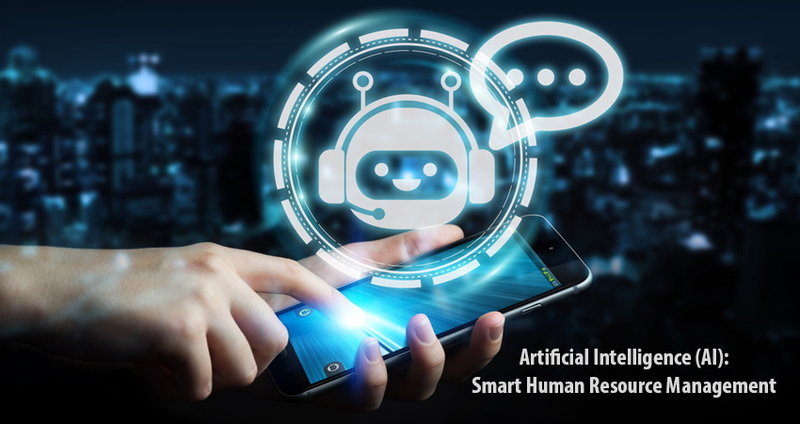 Here we’ll have a look at key points of Artificial intelligence (AI) to demonstrate how it actually is the game changer for human resource industry. Now essential information is being collected from the candidate at the initial level. This initial process consumes a good quantity of time. Artificial intelligence has developed an entire screening software solution that is capable to perform all above-mentioned tasks with more successful results. This software helps in finding most suitable candidates that fit right for the job. This is quite easier method comparative to a manual approach. You’ll also be able to collect information regarding the behavioral aspect to understand if the candidate fits with organization’s culture. If we talk about the industrial giants, i.e. they have included the data analytics in the entire mechanism of screening. After the screening, almost 30% of recruiter’s time is consumed in scheduling and interviewing successful applicants. Because these ate the most important tasks that require 100% attention for right hiring. In manual processes after consuming 30% time, candidate and recruiter still experience inefficiency that also impacts to the organization. Sometimes a candidate doesn’t hear back after submitting their resume through the manual procedure. Artificial intelligence (AI) plays an important role in finding and engaging the candidates. In coming future, it is expected that entire recruitment process by following each and every step will be automatically handled by the software. AI assistants will take care of candidate’s screening, assessment, interview & engagement. Candidate follows up procedure by sharing personalized job updates, feedback and suggestion for next hiring step will also be handled by AI. These machines are important to manage candidates in different scenarios. Job offer acceptance and candidate’s joining dates and different and require a certain time period. Here artificial intelligence (AI) again plays an important role in following up with the candidate and keep them engaged with the organization. This practice reduces the chances of offer rejection. It keeps the potential candidate update regarding organizational success and culture. It is necessary for the organization to keep a candidate aware of its culture and policies to make them fit with it. AI help in this awareness by sharing the information and auto-replying to candidate’s quires. Use of artificial intelligence in intelligently attracting and engaging the people by responding to their queries. People always have a different learning style that couldn’t be matched with each other. Artificial intelligence has personalized the candidate development and learning program according to the skill set, behavior, and experience along with learning capabilities. It can share customized information equally to all employees. It also supports the development of career opportunities. Majority of human resource professional’s time-consuming in sorting employee’s queries regarding the management. This is a complex task performed by professionals. Employee’s policies could be related to leaves, insurance, salary slips, and benefits. AI special Chatbots can respond to common queries. It also can schedule meetings for human resource and employees according to their availability. It also empowers the managers to make improve their decision making. AI analytics share employees’ performances, track records and much more information. Artificial Intelligence (AI) is capable to drive entire business towards a new direction with meaningful analytics. These analytics play an important role in keeping employees engaged. It directly impacts organizational efficiency and productivity.